My first review here and before I review the item I want to talk about this topic, because I had some problems in the last few years. I always searched for a good and long-lasting eyeshadow base. I tried some other cheap products from Catrice and Essence before (I tried them before I became vegan), but always ended up dissapointed. Everytime I used these products a few hours later the eyeshadow gather in my eyelid crease and so I thought that using these products was just a waste of time and money... I went back to my old habits in fixing the eyeshadow with hairspray when going out and proceeded in not wearing eyeshadow at work . ^^"
After the "I feel pretty" LE was announced by P2 and I got a glimpse of the products and thought to myself that I wanted to give it a try again, cause all my dear co-authors were rather happy with their eyeshadow base products. So I went to buy the eye primer pencil beyond beauty. Facts: It's possible to sharpen the pencil with a pencil sharpener for thick pencils. I tried to take pictures of the color on my skin, but the swatch was hardly visible on my skin. The pencil is vegan. 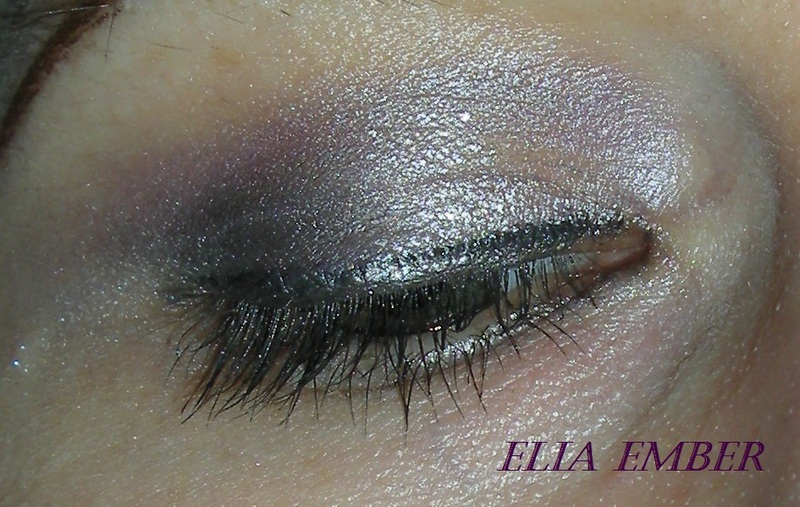 Today I made some pictures of my makeup in the evening. I put it on at 06:40 AM in the morning and took the photo at 08:00 PM in the evening. You can see that there is not much eyeshadow gathered in my eyelid crease after over 12 hours of wearing. I didn't correct or fix anything during work, cause of my laziness and having too much to do at work (and I also don't want to carry my whole make-up products around with me :P). Conclusion: I'm quite happy about how this purchase turned out this time. It also seems that it's not necessary to put a lot of the product on the eyes to get the eyeshadow longlasting enough. What I like the most about this product is the color boost of the eyeshadow (the colors were a light grey and violet). What I will rate in the next few weeks is the durability during "extreme" conditions (when I go out with my girls for dancing). Minus 1 point, cause a small amount of the eyeshadow gathered in my eyelid crease after all.